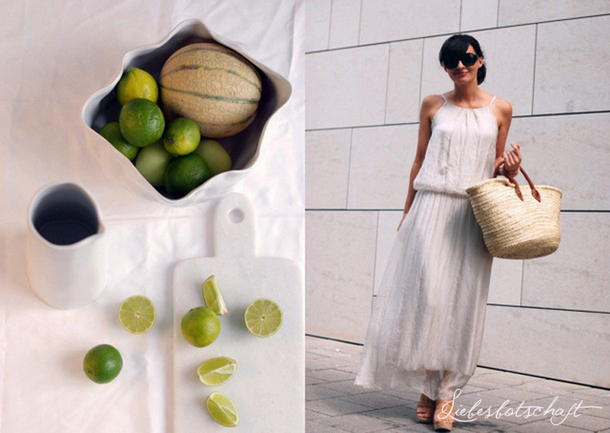 Liebesbotschaft International: Maxi love + limeade. Saturday is farmers’ market day – I love going shopping there! This maxi dress made of pure silk has taken my heart by storm. 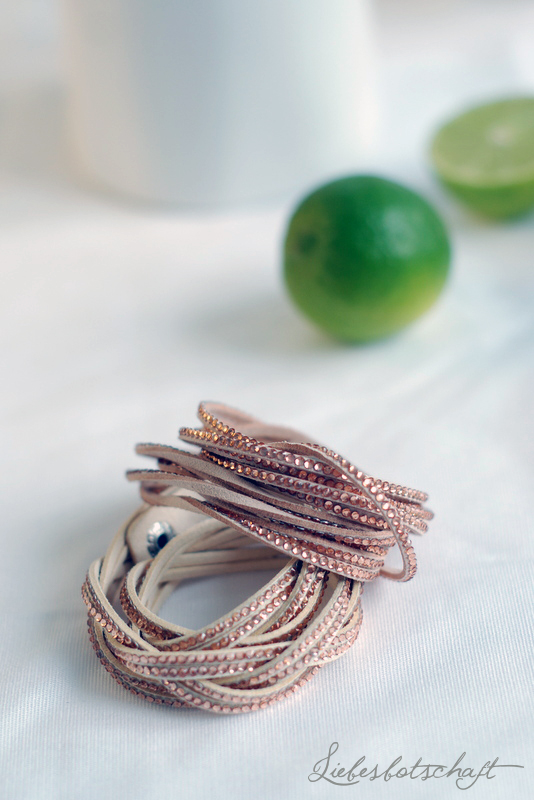 The fabric caresses your skin super softly and moves beautifully with every breeze. 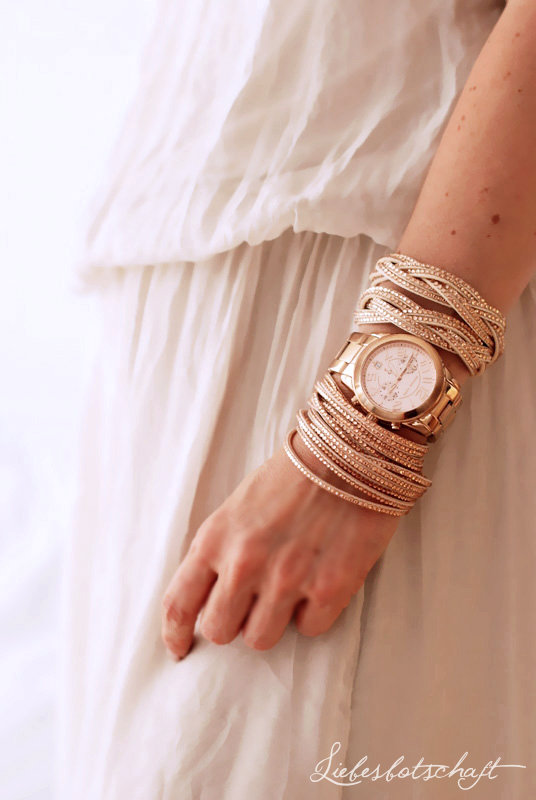 I don’t need to accessorize it with anything but the bracelets with rose-gold details. b) not go food shopping for a few days, because it will surely last for the whole week. 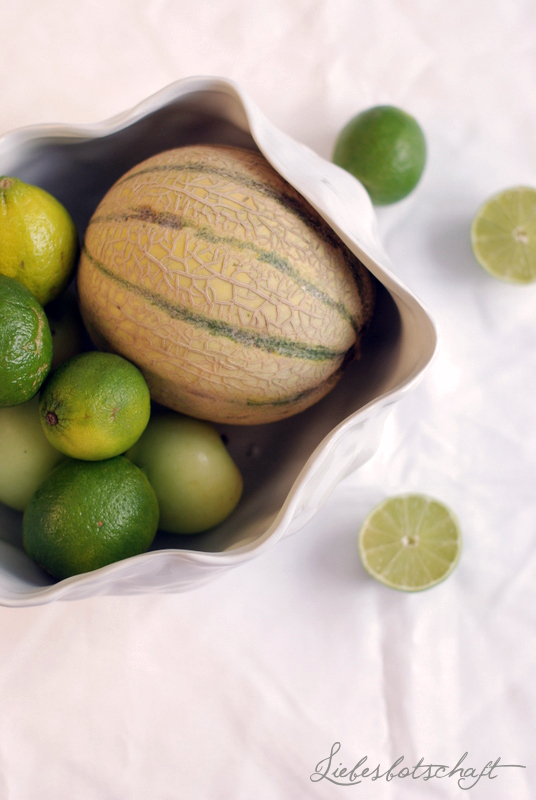 If you don’t want to just dump your fruit into the kitchen, but place it decoratively on the table, the white dish with its irregular rim is a truly beautiful option! 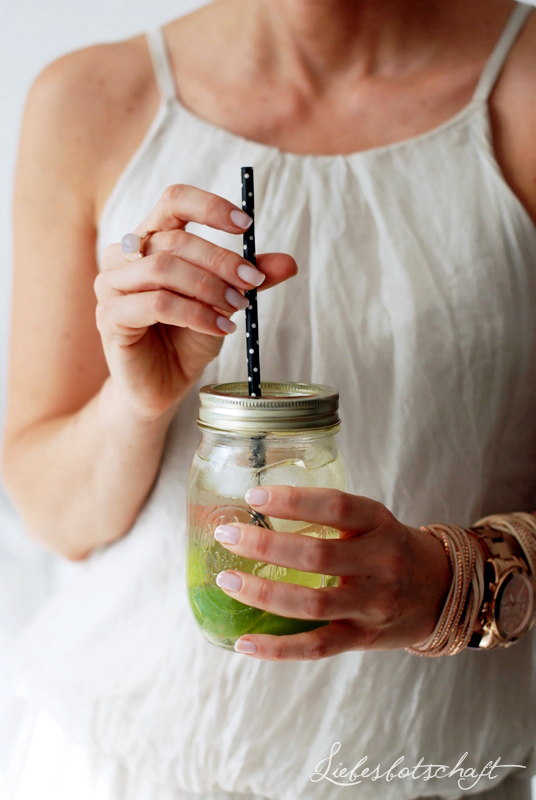 On hot and humid summer days like today I buy, among other things, a lot of organic limes and use them to make a quick limeade – perfectly refreshing and only a little bit sweet! I prepare a syrup and water it down a lot, adding slices of fresh lime to enhance the aroma. 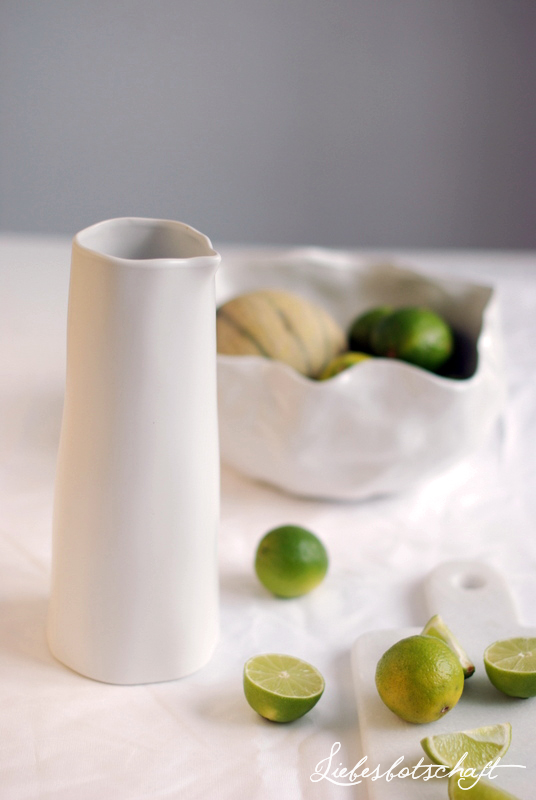 Poured into a simple white ceramic water jug the limeade looks great on the table. It looks perfect with even just one small flower or some blades of grass picked at the wayside! Juice the limes and bring it to a quick boil together with the sugar – just until the sugar has dissolved completely. Add mineral water to taste, serve over ice and with slices of lime. all Liebesbotschaft readers receive a discount of 10% on all merchandise! This offer is valid until Tuesday, 8/5, 2014.